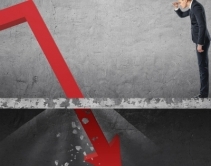 By By Eric Thies · March 7, 2019 • As the market slows, integrators need to act quickly to boost sales and marketing efforts, differentiate themselves in the market, or downsize their company payroll. By Andrew Nichols · February 21, 2019 • This 16,000-square-foot mansion is studded with over 200 Ketra architectural lights and 13 Crestron control panels to help the homeowner enjoy their favorite hobby with ease. 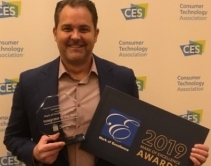 By Jason Knott · January 10, 2019 • Bellevue, Wash.-based Wipliance receives 2019 Consumer Technology Association TechHome Division Integrator of the Year Award at CES 2019. 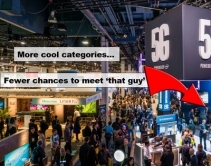 By CE Pro Editors · January 9, 2019 • The winners of the 2019 Mark of Excellence Awards for both manufacturers and projects were announced at CES 2019 this year. Check out who won! 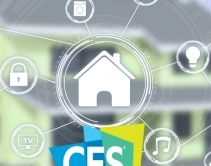 By Jason Knott · January 8, 2019 • Smart home is taking center stage at CES 2019, along with 8K. 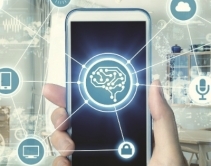 New CTA data predicts 23% growth in smart home products. By Jason Knott · December 18, 2018 • According to CTA members, poor documentation, not using strong passwords, and bad wiring are some of the biggest mistakes to avoid during home network installs. By CE Pro Editors · November 30, 2018 • This is the last day for manufacturers and integrators to enter the 2019 Mark of Excellence Awards. Enter today and have your product or project featured in the March issue of CE Pro and online at CEPro.com. By CE Pro Editors · November 28, 2018 • The 2019 Mark of Excellence Awards deadline is November 30, 2018. Enter today and have your product or project featured in the March issue of CE Pro and online at CEPro.com. By CE Pro Editors · November 19, 2018 • The 2019 Mark of Excellence Awards deadline has been extended to November 30, 2018. Enter today and have your product or project featured in the March issue of CE Pro and online at CEPro.com. 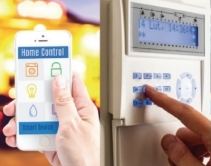 By CE Pro Editors · November 15, 2018 • According to Dan Fulmer of FulTech Solutions, the Connected Home Security Tool can help integrators and users install their connected devices more securely. 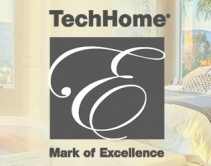 By CE Pro Editors · November 12, 2018 • Enter today for the 2019 CTA Mark of Excellence Awards to be honored at CES 2019, in the March issue of CE Pro magazine and online at CEPro.com. 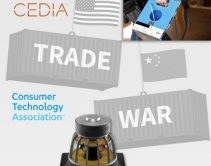 By Jason Knott · November 2, 2018 • CEDIA, CTA, smart-home dealers and manufacturers share fears and strategies for impending tariff wars: on raising prices, absorbing costs, and communicating with clients while avoiding political arguments. 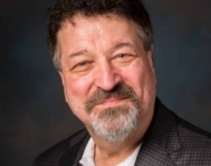 By CE Pro Editors · October 17, 2018 • The Consumer Technology Association (CTA) has appointed its 2019 board members, including Michael Fasulo of Sony and Bridget Karlin of IBM.